Earth is in a state of flux, being attacked by the armies of the Red Legion. Throngs of humans have been obliterated from the face of the planet. The armies descend in hordes, ready to massacre the rest of humanity. They want to capture the Traveler’s light. The Traveler will not oblige their request, and begins to fight back. Fish looks into the sky and wets himself in sheer horror as the sphere dons a massive bushel of face hair. 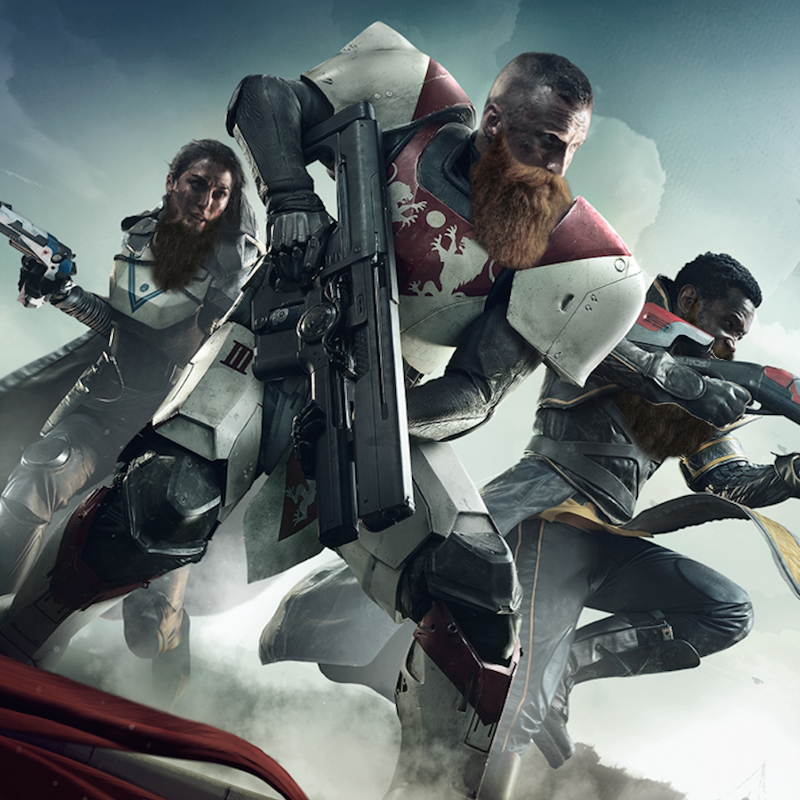 The crew this week fully unloads their love for Destiny 2, being fully entrenched in the game. It has taken over Fish’s and Morgan’s life (surprise surprise). Josh is waiting for the computer game, and Shea is waiting for his PS4. We also discuss the topic of a sequel that changed our minds on a game series that we were not previously keen on. We wrap up with some listener questions and comments. Game on!